Update! Here is what 150g cookies look like. how huge these cookies are. 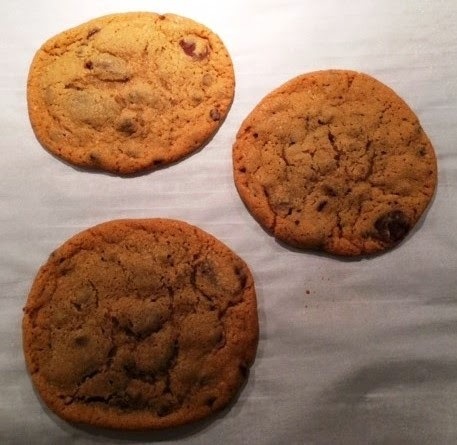 This is THE BEST CHOCOLATE CHIP COOKIE RECIPE EVER!!!! It uses dark brown sugar, granulated sugar and molasses (unsulfured blackstrap molasses which I found in our regular grocery store). These cookies are supposed to be HUGE. 150 grams of dough ball huge. 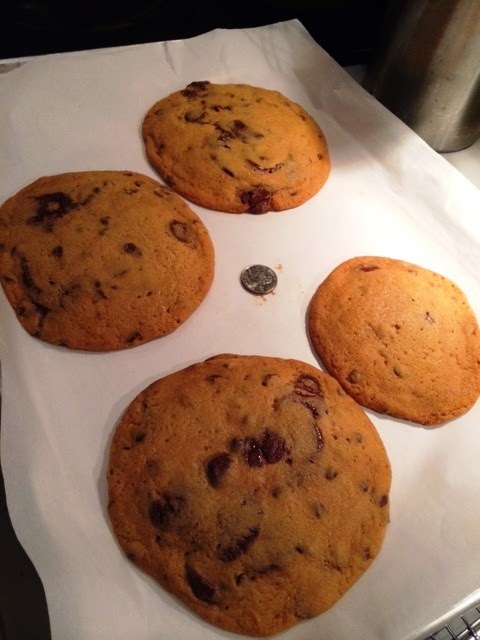 In fact, the recipe states, "The cookies are very large; bake only 3 on each pan." I opted for the smaller cookie variant which is stated as 75 grams each. They're still very large as you can see in the photo above. Bake time of 17 min in a standard oven was perfect for the smaller version of the cookie.